On the other hand, some new players won top honors, too, like Tousey Winery for Best Rosé, and Robibero for Best White Hybrid, both coming from the difficult 2011 growing season, a.k.a. Hurricane Irene’s vintage. 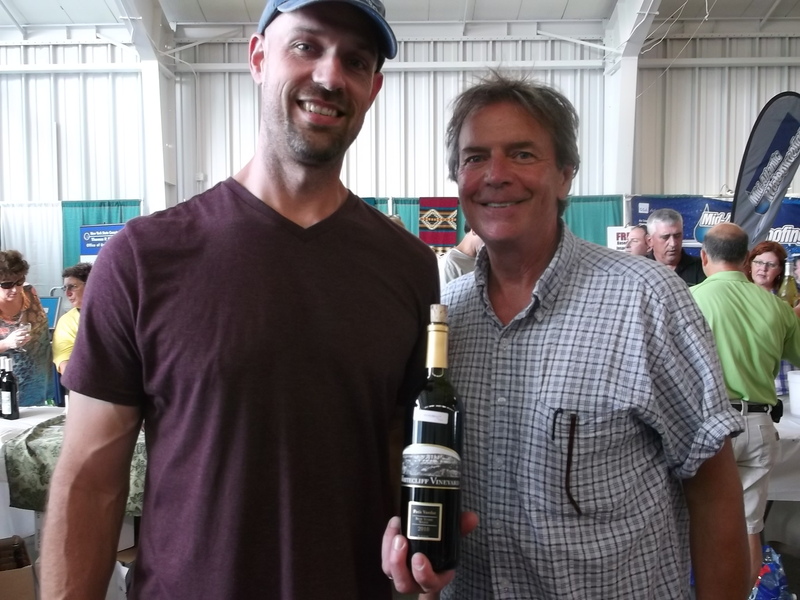 I was honored to serve again as a judge in the annual competition, which took place at the Dutchess County fairgrounds in conjunction with the 11th Annual Hudson Valley Wine and Food Fest. A big thanks goes to Debbie Gioquindo, the “Hudson Valley Wine Goddess“, and her many volunteers, for running a smooth operation. 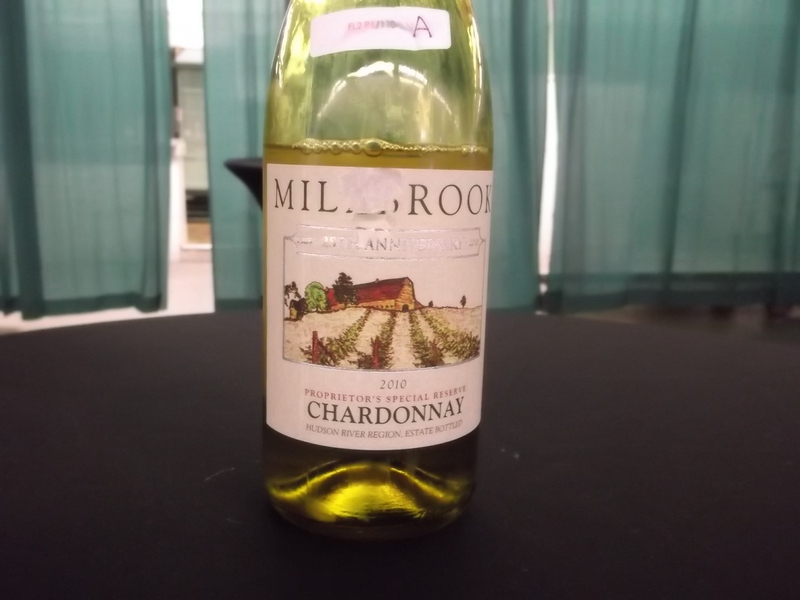 Millbrook’s Proprietor’s Chardonnay hat trick started with a Double Gold from my panel, meaning that panel members unanimously awarded it a gold medal. Winemaker John Graziano has achieved remarkable consistency with the Proprietor’s Reserve over the years, both stylistically and qualitatively. And the 2010 impressed: pale gold with a pronounced nose of yellow fruits and hints of vanilla, it’s big and rich, yet balanced, with tropical fruit and toasty notes on a long finish. I personally prefer less overt oak in Chardonnay, but I had to agree that the wine was compelling in its style, especially as it was made solely from Hudson Valley fruit (and 2010 was a rainy vintage — far from optimal). The only other Double Gold winner of the competition (and Best White Hybrid), also out of my panel, was an eye-opening surprise: the 2011 Robibero “87 North”, a 50-50 blend of the white hybrid grapes Vidal Blanc and Cayuga. Filled with guava and passion fruit flavors, it had bracing acidity, which perfectly balanced a slight (and attractive) sweetness, finishing clean and long. Very reminiscent of a cool-climate New Zealand Sauvignon Blanc. As it happened, one of the judges came down with a sinus infection on the day and called in sick, leaving us with an even number of judges. This came into play when we had to choose Best Red Wine, because there was a hard and fast tie between the two gold medal-winning finalists: Whitecliff Vineyard & Winery’s 2010 Petit Verdot, and Glorie Farm Winery’s 2010 Cabernet Franc. Both wines were well-made and expressive, but the classic Cab Franc character of the Glorie, full of menthol and bright, brambly fruit, reeled me in. In any case, a tie was a good result. Tousey Winery resides just a few miles from our farmhouse, a young operation that has come a long way in a short amount of time. And it’s silver-winning 2011 “Rebellion” Rosé” took Best Rosé in the competition. Produced from the Lemberger (or “Blaufraenkisch”) variety out of the Finger Lakes region, it had good body and mouthfeel, with attractive strawberry fruit in the nose and palate. For the Best Red Hybrid, Hudson-Chatham’s gold medal-winning 2010 Chelois was clearly a cut above, sporting vibrant red fruit, medium body and nice acidity. Our panel did not judge this wine; I had it at the lunch following the tasting, and it’s a superb food companion as well. Clinton Vineyards has long made an excellent Cassis, a black currant liqueur very much in fashion these days in the Hudson Valley. Not surprisingly, Clinton earned gold and Best Dessert Wine for its current release, but it was not alone — several other black currant-based wines medaled as well. Both black and red currants are winter hardy and grow well in the region, and the increased plantings have led to a boomlet in currant-based wines and liqueurs. 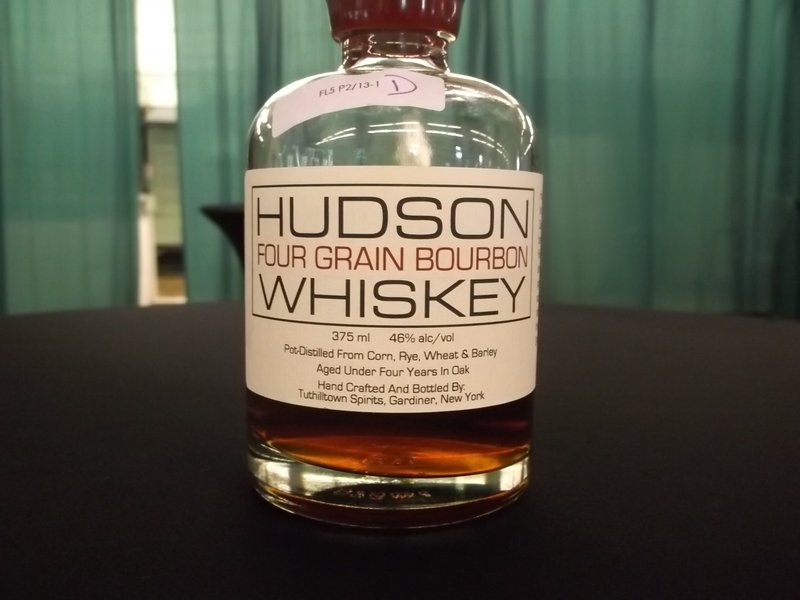 In fact, a new website dedicated to Hudson Valley cassis has just been launched. Kir Royale anybody? For complete results of the competition, click here. This entry was posted in Beer + Cider, Hudson Valley, Spirits + Cocktails, Wine and tagged 11th Annual Hudson Valley Wine and Food Fest, 2012 Hudson Valley Wine and Spirits Competition, Glorie Farm Winery, Hudson-Chatham Winery, Millbrook 2010 Proprietor's Special Reserve Chardonnay, Millbrook Vineyards and Winery, Robibero, Tousey Winery, Tuthilltown Spirits, Whitecliff Vineyard and Winery. Bookmark the permalink.